22LR has been around for nearly 200 years old and has shown no signs of slowing down. The iconic cartridge is popular not just for its availability or price, but also since it’s quite versatile. 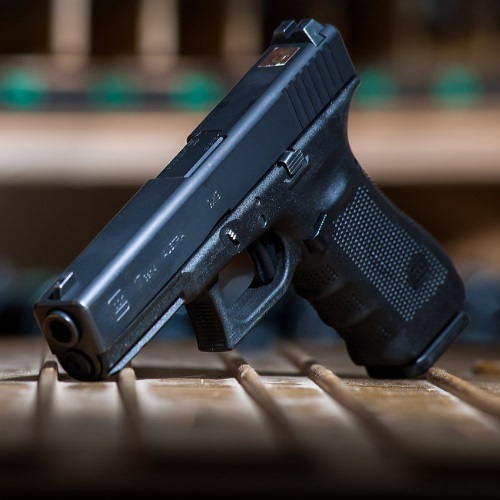 While practically no shooters out there will recommend 22 as a first line of defense, there’s no denying that it’s better than not having a firearm. On the other hand, 22LR is probably the best round for varmint hunting, plinking, or regular target practice. In a similar vein, the short cartridge is perfect for beginners since it provides little recoil and is great for learning the ins and outs of shooting and firearms in general. When it comes to 22LR semi-auto pistols, the Browning Buck Mark is one of the finest on the market. The iconic gunmaker’s rimfire handgun has garnered such a fantastic reputation primarily due to its exacting tolerances and Ergonomic Interactive Surface (EIS) technology. Browning has been one of the most beloved names in the industry for over a century, though rimfire pistols is not what most people think of when it comes to the Browning Arms Company. Nevertheless, the American legend produced the Buck Mark with absolutely punishing accuracy, tough durability, and pretty decent looks too. Like any good highly accurate pistol, the Buckmark features a recessed muzzle crown, CNC machined frame with aircraft-grade 7075 aluminum alloys, and a bull barrel for increased stability. Additionally, the 22LR firearm has a simple straight blowback design, large manual thumb safety, and rather impressive 16-click/revolution adjustable Pro-Target™ rear sight. If you thought the Browning Buckmark had an interesting look, wait ‘till you see the Ruger Mark IV. Ruger has established itself as one of top-selling and highly-rated gunmakers in the world and the Mark IV is just one of many excellent firearms. Although their one-button takedown is hard to beat, you really gotta love the ergonomic bolt stops, Cylindrical bolt construction, and drilled & tapped receivers. Additionally, Ruger threw on a contoured ejection port, as one of many performance enhancing features. The Walther P22 is yet another incredible feat of firearm engineering from the impressive German gunmaker. I fire thousands upon thousands of 22LR rounds every year, and I can safely say the Walther P22 is one of the biggest surprises in the 22 category. Unlike the Mark IV and Buckmark, the P22 is built like a modern polymer pistol. In fact, the rimfire Walther has one of the finest grip surfaces with interchangeable backstraps on any 22. Likewise, you’ll find the popular DA/SA Walther trigger on the P22, as well as MIM (metal injection molding) components. To make the deal even sweeter, you’ll find a solid pair of low-profile 3-dot polymer combat sights, a Picatinny rail, front & rear slide serrations, as well as a paddle-style ambidextrous magazine-release lever. The Ruger SR Pistol Series is one of the most popular in the world and it’s easy to see why. Although many shooters prefer the SR9 or SR45, the SR22 is nothing short of excellent. These semi-autos, some of the thinnest double-stack handguns in the industry, are arguably the most user-friendly in their class. In addition to its Picatinny rail and adjustable sight system, the ambidextrous SR22 also features glass-filled nylon grips, high-grade aluminum slide, and a crisp DAO trigger. Overall, the SR22 is lightweight, surprisingly durable, and a true pleasure to own and operate. There’s no denying the quality of Sig Sauer, but their unusual 1911 chambered in 22LR is truly something to behold. While it’s slightly larger than the .380 ACP model, the P938 is still relatively small for a 22 handgun. The semi-auto micro-compact pistol feels like it would pack a heavier punch, probably due to its hard coat anodized metal alloy frame. Nevertheless, Sig managed to keep its weight down to 16 oz, while sacrificing zero durability. 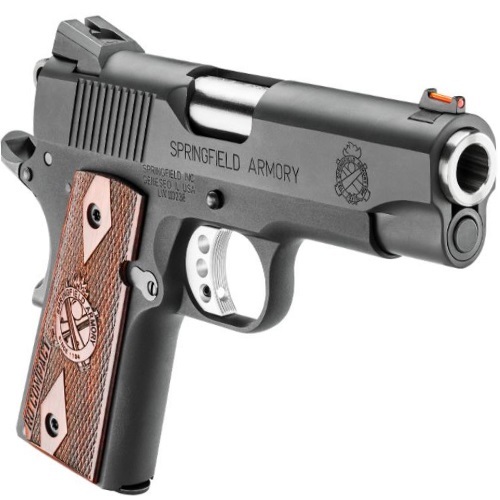 To give their 22LR even more character, the Sig Sauer 1911 featured adjustable sights, ambidextrous controls, and is convertible to chamber 9mm. At the end of the day, there are many reasons to add a 22LR pistol to your repertoire. Although there are tons of great options to choose from, I believe these are the best of the best, with taking their price tags into account. We love to hear from our fans, so please leave us a comment and let us know your thoughts! Thanks for reading with us here at Gunivore!